The Zamir Chorale of Boston recently returned from an extraordinary five-day experience in Berlin, Germany, where we had the privilege of being selected to represent the United States at the inaugural Louis Lewandowski Festival. Zamir joined seven choruses from around the world in paying homage to one of Jewry’s greatest composers, a man who revolutionized synagogue music. We performed several concerts for enthusiastic audiences and embraced the opportunity to awaken the hearts and minds of German citizens, both Jewish and non-Jewish, and celebrate the richness of Jewish life that was so powerful in the late 19th century, and is enjoying a renaissance in Germany today. Performances were held at the Krankenhauskirche in Wuhlgarten, the Jewish Museum, and the Rykestrasse Synagogue. Home again, but the memories keep pulling us back to a very intense and moving five-day experience in Berlin. The concerts, the enthusiastic audiences, the channeling of composers who are no longer with us, the posters all over the city, the new friendships with singers from four continents, the knowledge that we were helping to revive Jewish life in Germany based on the great cultural achievements of 19th century masters such as Lewandowski and 20th century greats from the Weimar period, such as K. Weill, F. Holländer, H. Schalit and H. Fromm. Relive the tour with us by checking out the blogs, photos, and videos on this page. In the meantime, all of us at Zamir Chorale of Boston want to thank you for the support you’ve provided over the years. Your donation makes it possible for Zamir to bring the joy of Jewish music to audiences that transcend age, religious and ethnic background. Come with us on our journey as we bring the cultural rewards of Jewish music to the far ends of our diverse community. 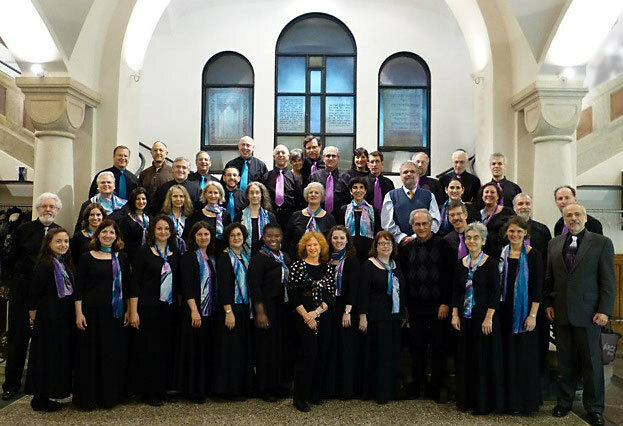 If you have not already done so, please make your donation to the Zamir Chorale of Boston today so that we can share the beauty of Jewish music tomorrow. Zamir performs Kafe BeKef at the Krankenhauskirche im Wuhlgarten.